This is another Amazon recommendation, and they are beginning to make a believer out of me. 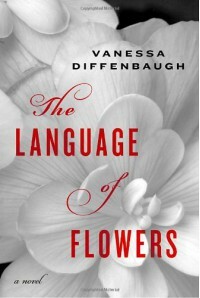 Certainly, I knew some flowers had certain meanings, but I was completely ignorant of the Victorian penchant for conveying coded messages in the guise of sending flowers, and when I saw Vanessa Diffenbaugh had crafted a story around this practice, I immediately added it to the birthday wishlist of books I gave to my husband. In The Language of Flowers, Diffenbaugh has created a story that is at times disturbing, at other times supremely sad, but mostly, it is a heartwarming tale of survival against all odds. Whenever I think of the foster care system, I have mixed emotions. On the one hand, I am sure many kids are happily placed and well-cared for, but I also know many are neglected, abused, unloved, and moved about like pawns on a chessboard. As a foster mother herself, Diffenbaugh is likely privy to more harrowing stories than readers ever will be, and she expertly threads this knowledge into Victoria’s story. With every new home placement and subsequent disappointment, Victoria despairs of ever finding a family and bit by bit her heart hardens over. I felt sick thinking about what these children go through, and how the system really does fail too many, and nevertheless, we all expect these kids to straighten up and fly right as adults, as if they’ve been given the tools to do so. An almost impossible task, for which many have no sympathy when they fail. I commend Diffenbaugh for shining another small light on foster care problems, uncomfortable though it may be to read. Once out of the system, Victoria has a lucky break, and is able to translate her knowledge of the language of flowers into a career path. She meets people who care about and help her -- in particular, the florist Renata who gives her a job and sets her on her path. But the damage from childhood has robbed Victoria’s trust in love and friendship. As she shuts out the kindness of one person after another, it is sad and not a little frustrating to watch her sabotage her own happiness. And yet, her actions and responses ring supremely true for a person with her life path. Throughout the story, Victoria continues to learn and grow in fits and starts, one step forward and two steps back, which seems natural. It is satisfying to see her growth, both in her profession and life in general, but I also like the way Diffenbaugh doesn’t wipe away all her problems and struggles like a fairy godmother even at the story’s close. The scars will always be there, just fading over time. 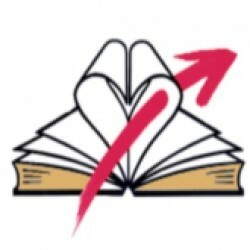 Still, heartwarming Victoria’s story is, I worry a little that her success gives some readers the mistaken impression all kids can overcome their past. Hopefully not. This was a beautiful first novel that married the unpleasant topic of foster care and how it fails some of our children with the romantic language of flowers for an unforgettable story.